Out there in the atmosphere that surrounds this world we live in there are connections which emanate, propagate and reach back to us. I believe that we are all connected somehow and call this intangible ‘string theory.’ How we live our lives and the decisions we make can strengthen or weaken these connections. I believe that the connection of communication through music is one of the strongest bond builders we can find. Live music is ‘truth’ and you can not fake it. 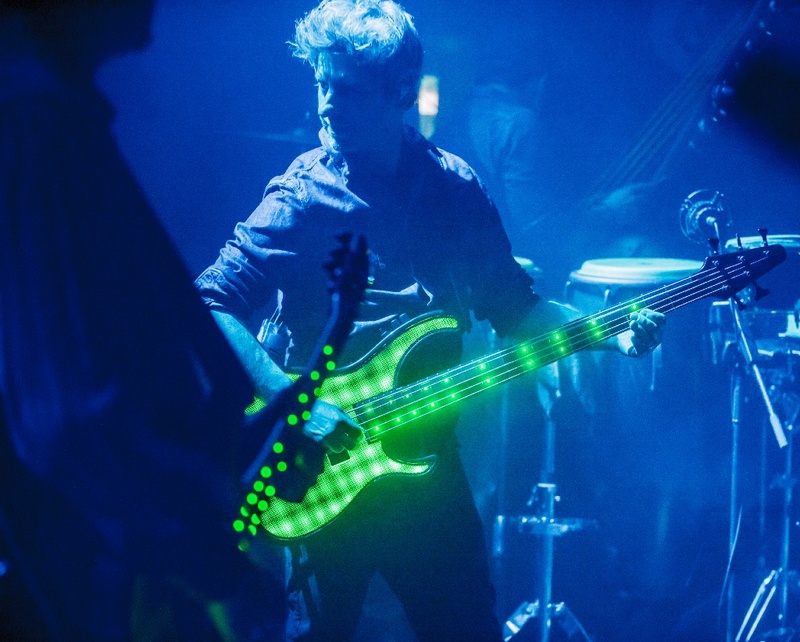 Something happens when musicians play their trade for an audience. We become one with the beats, rhythms, sound, lyrics, and emotions in motion. Each in our own way yet sharing this musical truth. Jam bands starting with ‘The Grateful Dead’ nationally and ‘Max Creek’ local to the East Coast developed a faithful following of fans with their own magical connection in ‘playing with the band.’ The gathering of music loving clans grew up with this music and connected to it as often as possible. Some followed the bands around on their tours. They all came for the real true connection and communication of live music. The music was shared as groups of friends and acquaintances bonded in ‘Rock and Roll’ moments which became marking points on the long winding crazy road of life. The constant was the music, the band, and connection. The faithful followers gather still as new generations join in the groove. 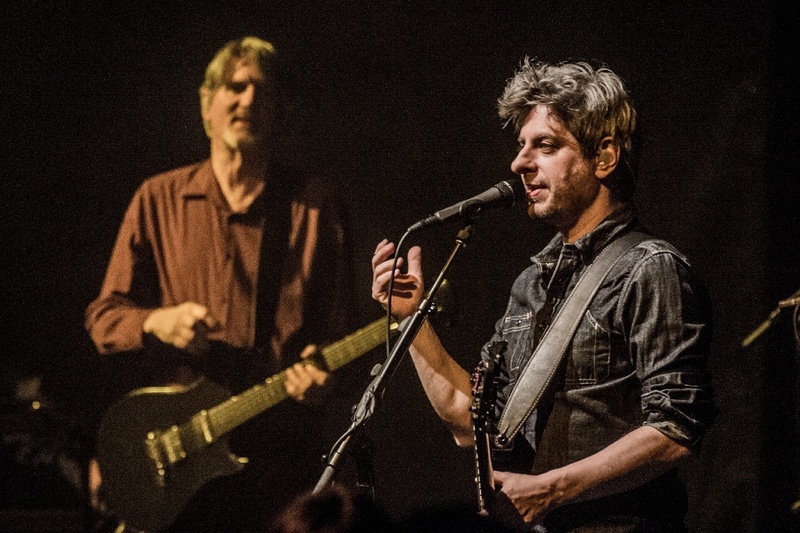 The Mike Gordon Band is now finishing up a tour with Scott Murawski the long time guitarist from ‘Max Creek’ as his prime sidekick. 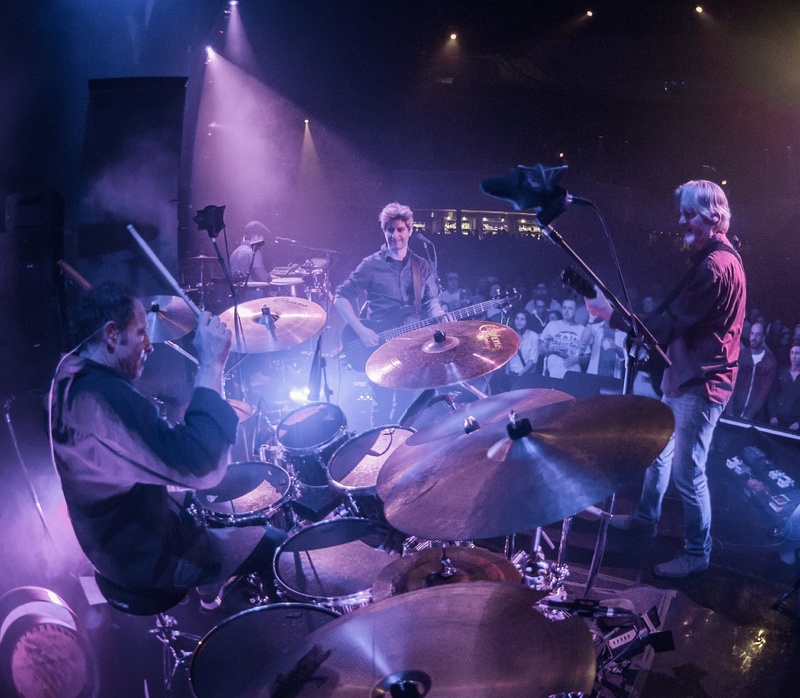 The road continues on as these Gurus of groove spread the truth of live music and expand the connections in a gathering of the clans of faithful jam band followers at each stop. The Neptune Theatre in Seattle and the Flying Monkey Theatre and Performance Center are old theaters reclaimed and renovated for such gatherings. 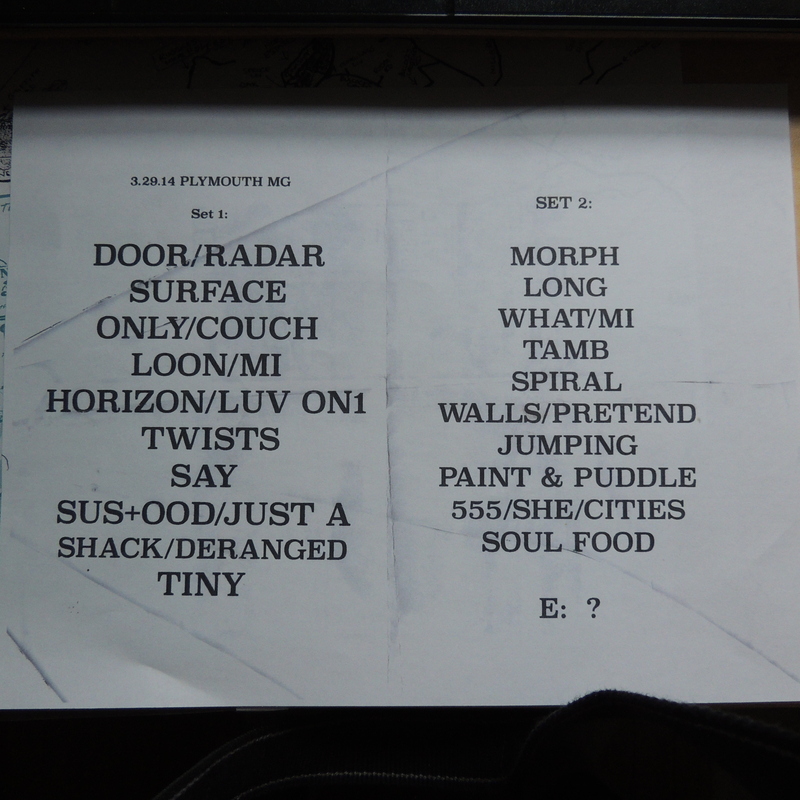 I was fortunate enough to score a couple of song lists where you can see the abbreviations used for the songs played. The lists are always on stage for each performance. A small reminder that the intangible connections did occur and will continue into the future. PRE-ORDER ‘OVERSTEP’ NOW ON 2-LP BLUE VINYL OR CD: bit.ly/mg_overstep On February 25th, ATO Records will release Overstep, Phish bassist Mike Gordon’s fourth solo studio album (joining 2003’s Inside In, 2008’s The Green Sparrow, and 2010’s Moss). Most artists have a fixed ritual or routine that they rely on to inspire their efforts from concept to fruition. Gordon tends to establish general goals, and then eschew routines for creative experiments. 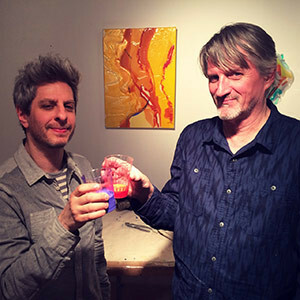 One of his goals for Overstep was to trust himself to relinquish control, which he accomplished by sharing songwriting duties with guitarist and longtime collaborator Scott Murawski (who also tackles lead vocals on three of the album’s eleven tracks), and by handing over the producing reins for the first time in his solo career to Paul Q. Kolderie (Radiohead, Uncle Tupelo, Pixies). Gordon invited a few new players into his sandbox, including legendary drummer Matt Chamberlain (Jon Brion, Fiona Apple), who fleshed out previously-recorded drum machine parts on actual drums. The result is a diverse but tightly knit family of sturdy rock numbers that manages to sound grounded but sophisticated at the same time, and raw but carefully considered. Overstep’s opening track “Ether,” which begins as distant industrial noise that’s gradually replaced by lush guitars and welcoming vocal harmonies, serves as an invitation to the listener to set aside current preoccupations and come along for a 49-minute “reality check.” Gordon draws inspiration from an astonishing variety of sources, from the natural world to the emotional world to his often persistent visions. Like Gordon himself, the album is full of contradictions, juxtapositions, and surprises – which is exactly what his fans expect. 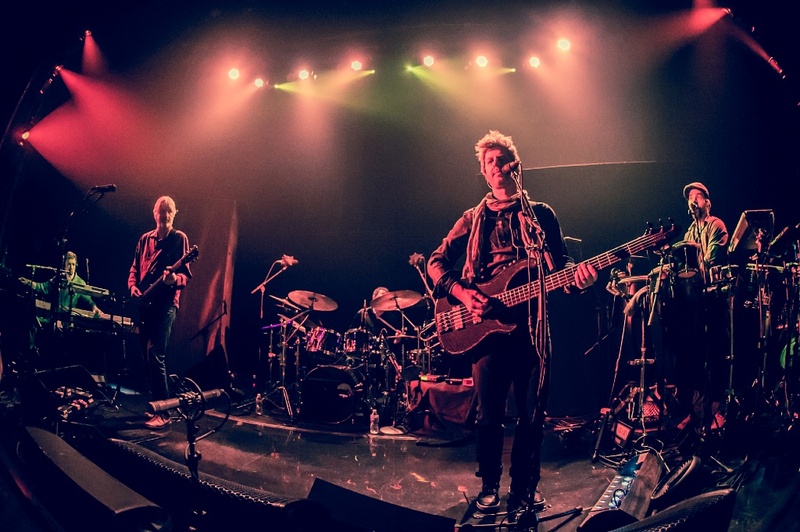 Mike Gordon will celebrate the release of Overstep with a North American headline tour that will kick off at the Westcott Theatre in Syracuse, NY on February 28. The run will include shows at New York City’s Webster Hall (March 1), the El Rey Theatre in Los Angeles (March 17) and the historic Fillmore in San Francisco (March 18). The bassist/vocalist will be joined on the road by his band – Scott Murawski (guitar), Craig Myers (percussion), Tom Cleary (keyboards) and Todd Isler (drums). A new repertoire is augmented by hints of secret synesthetic mad scientist gadgetry on and around the stage. Photos and the write up of the new album are from Mike’s website. Neptune and Flying Monkey logos are from those websites. 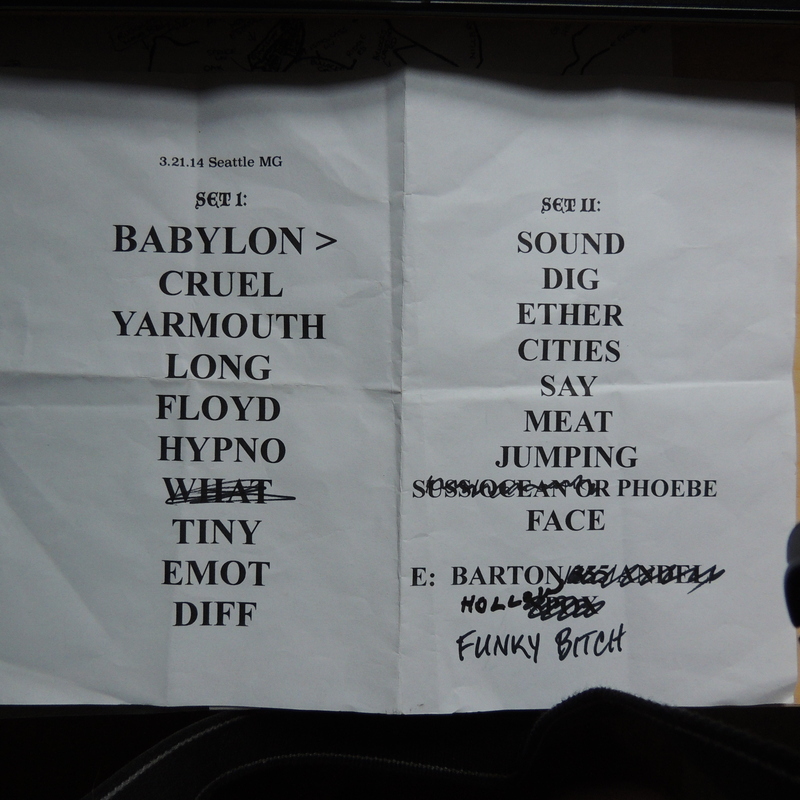 This entry was posted in Music, Music Review, Writing and tagged finding truth, Jam bands, Max Creek, Mike Gordon, Mike Gordon Band, Music, Music Review, Phish, Scott Murawski, Song lists, Soundboard, writing. Bookmark the permalink.